A fabulous quest to retrieve the Graystone Gem. The legend of Raistlin’s daughter. 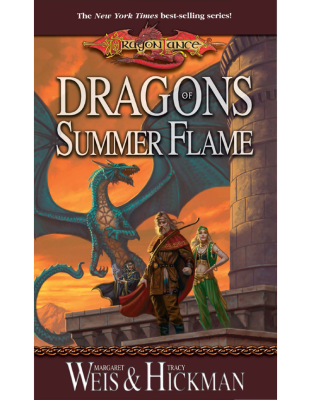 Many years ago, Margaret Weis and Tracy Hickman told the story of how the Companions of the Lance fought to save the world from sliding into darkness, fought to restore the fragile balance of good and evil. The war was won. Peace came to Krynn. The Companions of the Lance became heroes. The river of time flowed on. The heroes dreamed of finding safe harbor on that swift-running river. But the balance of eternal power is ever shifting, ever changing. The Queen of Darkness was defeated, not destroyed. Her powers are strong; people are weak. They forget the lessons of the past or close their eyes to them. The river’s waters grow more turbulent, dangerous. It its not, however, the Heroes of the Lance who will be forced to plunge into the raging river of coming war. Their time is past. Their stories are told. It is for them now to hand the future to those younger, stronger. 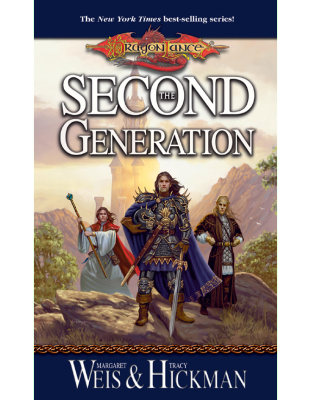 It is time to pass the sword—or the staff—to those who will become the Heroes of the Second Generation. Or to those who will bring about its doom. Other Products in "The Second Generation"
Here’s to trying… Rhymes with dying.